so peonies in a pretty garden urn will have to do. The bathroom is looking like nothing but a shell as we speak. and this project is no different. and overload of 1970's wall tile. Kind of a bonus in my book. With demo comes chaos, dust, mess, inconvenience and much much more. I do love it- though I have kind of moved onto loving the putting it back together and seeing it come to life more than the excitement of a new project first swing of the hammer. But my boys? They love it. What is it about demo that boys love so much? But, the good news- demo is DONE. And the ceiling is already almost wrapped up. But other than that- yep, it is a pretty unusable bathroom at the moment. 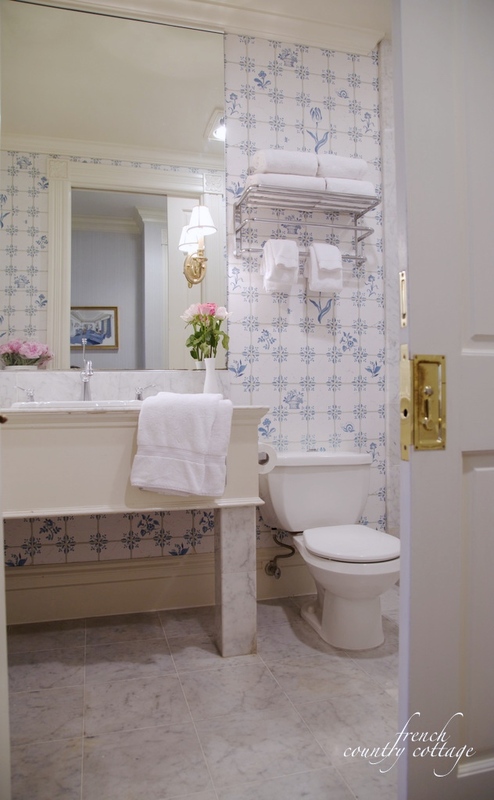 And I am really dreaming about going back to one of my favorite getaways- and this gorgeous finished bathroom there. I am staring at tile and deciding just which way I want to go with the bathroom. I thought I would share 5 of my favorite tile flooring looks for bathrooms in case any of you are doing the same right now and needing a nudge of inspiration. you can get away with a little bit more price per square foot- because you won't need as many. It is a perfect room to indulge a little in- and yes, I will be doing that. 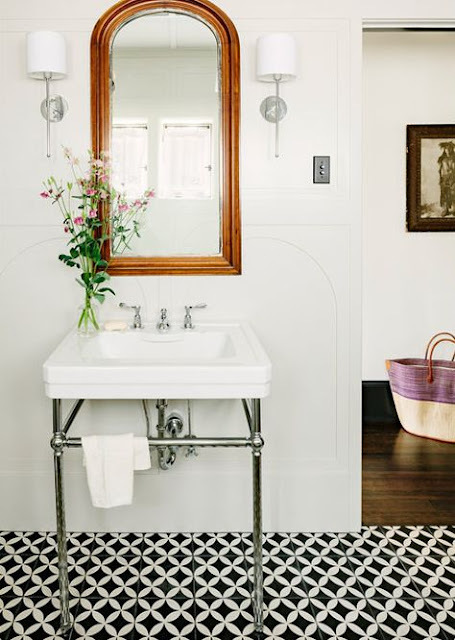 Ahhhh... love herringbone tile- and marble- well that is even better. Marble is classic all by itself but pair it with a herringbone pattern- it takes on a new level of elegance for a space- and hex and penny tile are always popular and classic options. A classic pattern is perfect no matter if your space is modern or vintage. 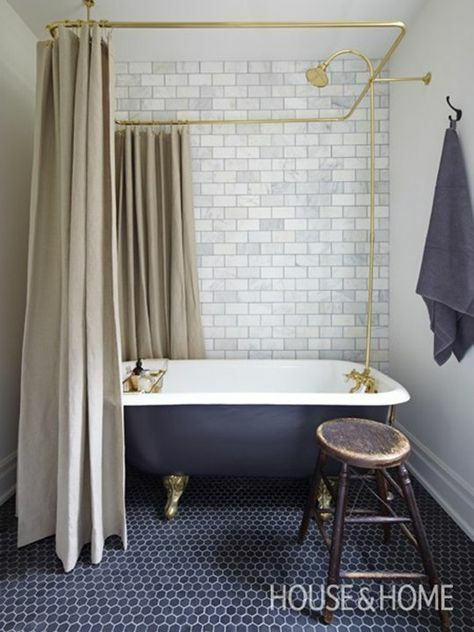 Black and white tiles in a simple pattern are easy to incorporate and right at home in any type of bathroom. I love this again, in marble, because I am drawn to marble for flooring- but you can find it in ceramic tile as well. Seriously. How amazing is this pattern? It really does appear to be a woven tile. I have seen this pattern in both a contrast look or a more subdued and simple look- and I don't think you can go wrong with either. Yes, that is what I said. 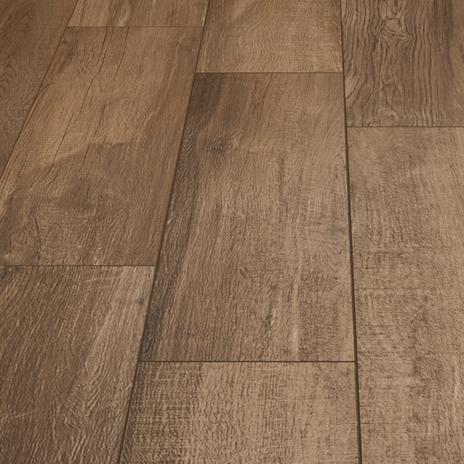 Faux wood and tile- all together in one. 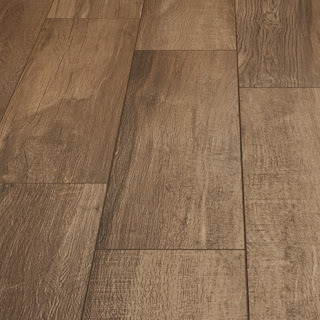 And this is not a laminate looking tile- you can find tiles that actually do look like old, weathered and worn wood. Perfect for a crisp clean look. They come in various lengths- up to about 5 feet I think-and several different styles and colors. I am loving that bold, bright look for a classic but fresh feeling in a bathroom. and really make the space. and the one I decided to go with just might be in the mix in here too. 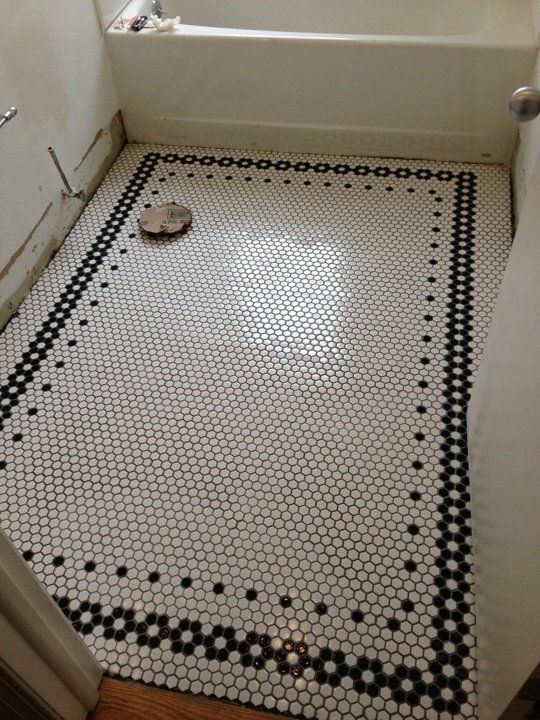 What is your favorite look for a bathroom floor? Love the faux wood tile....we've been considering that for a while, throughout the house, but can't decide if we'd enjoy it more than real wood! I just did mine with 1" bianco carrara hex tiles. Love it, but any of those will look great. Je comprends que de se retrouver dans de tels travaux n'est pas drôle mais il faut passer par là pour obtenir un joli changement ! Les choix multiples que vous nous proposez ont tous un petit quelque chose de sympathique. Nous venons de terminer la rénovation de notre deuxième salle de bain et nous avons opté pour un plancher en teck central et autour de grande dalles de céramique mate. Mon autre salle de bain, c'est moi qui est posée en tissage le carrelage qui est un carrelage en terre cuite de Salerne (deux sortes de cuisson qui donnent ainsi deux couleurs différentes et ainsi une belle allure pour le tissage) avec des petits cabochons émaillés blancs. Très jolies photos... Vos pivoines sont extraordinaires. My favorite is the faux wood. I can't wait to install it in my bathroom! 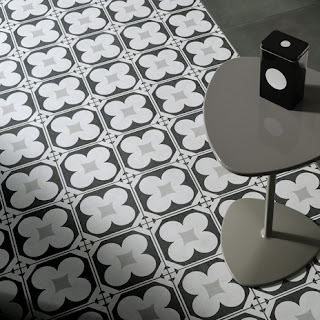 My next choice would be the black and white hex tile. Also classic, but you see it done more often than basketweave. We used ceramic hex tiles in our last three bathroom remodels. I would have loved to use marble basketweave this time, but budget wouldn't allow. I convinced myself, though, that ceramic hex tile is a better choice in this house because it's a 1920's farmhouse, and ceramic tile is more practical and something this house could have had at one time. But, oh!, I would love to do marble basketweave tile flooring someday. Can't wait to see what you are thinking for the bathroom and the reveal!! I absolutely LOVE the herringbone and marble combo, so elegant you can't go wrong with it. That faux wood tile is awesome, I've seen a couple and it looks like actual wood until I touched it I didn't belive it, haha! Those are my favorite options but all of those are really nice and can work in any space. 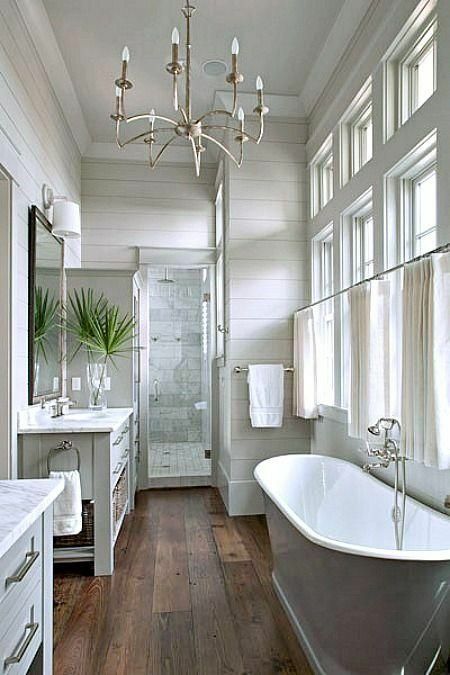 That faux wood tile is the bomb but I also like the penny tiles as well. My boys would love smashing down walls, too. Good luck with the reno! Each one of them is lovely. We are building our new French Country home on a few acres and I am in the middle of deciding tiles as well-my favorite is the herringbone tile and marble. 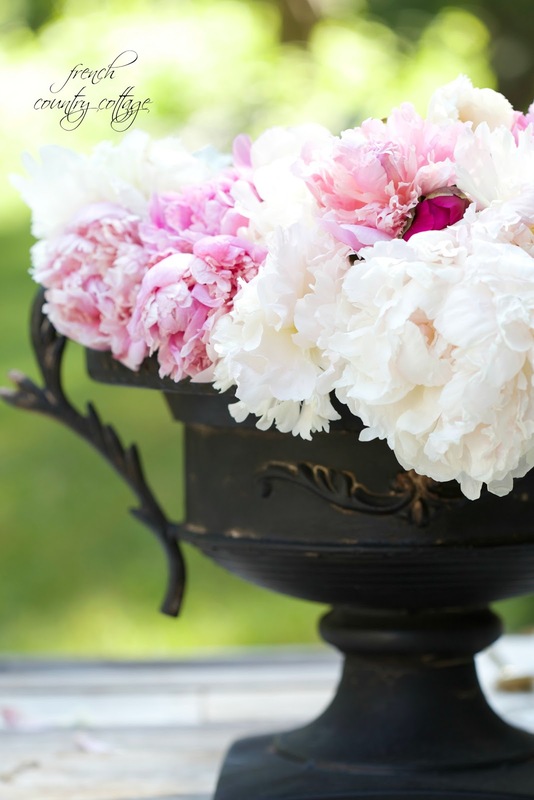 Love the peonies , my favorite flooring would be the faux wood. 2 nd choice is the basket weave. Some people choose glazed best tile saw on the market . These are generally the particular shiny, sparkly tiles which are 'fired' in addition to dealt with to provide all of them the look of them. Could you please tell me where the Chandelier in the #4 picture is from. Thank you for any help you could provide me.